Makerere University will launch a 3-year capital campaign of recognition in perpetuity of the legendary Professor Ali A. Mazrui on August 11, 2009. According to Mr. Nuha Mwesigwa, Executive Director and Founder Member of Makerere University Private Sector Forum (MUPSF), this will be during a high profile-high value ceremony on the Main Campus of the University that will be rich in academic rituals and symbolisms. Out of the synergy of this academia/private sector interface, MUPSF conceived the Makerere Mazruiana Project, in particular its Endowment and resources for completing the Centre for Global Studies, as a unique resource mobilization strategy for Makerere University. This is probably the first endowment project of its type and size undertaken by a national or public University in East Africa. Its impact will be revolutionary as it brings the onset of a Makerere Renaissance out of current declining standards, infrastructure decay and constrained resource availability. This special day in the history of Makerere will begin with a general procession from the Main Gate up to the Faculty of Social Sciences where Professor Mazrui was Dean, Head of Department and Professor of Political Science and Public Administration. From there, an Academic Procession will proceed to the Main Hall. It will be composed of Professor Mazrui’s contemporaries at Makerere; Deans and Directors; Makerere University’s Honourary Professors; and a select group of outstanding former Makerere Student Guild Presidents since Mazrui’s days at Makerere. In the Main Hall, where Professor Mazrui used to deliver his standing-room-only-public lectures, Professor Emmanuel Tumusiime-Mutebile, Governor, Bank of Uganda, Patron of the soon to be launched Emmanuel Tumusiime-Mutebile Policy Centre—A Think Tank at Makerere University, and former Student Guild President will read the Resolution and Declaration of the Makerere University Private Sector Forum (MUPSF) to so honour and recognize Professor Ali A. Mazrui in perpetuity through the proposed US $ 5 million Ali A. Mazrui Chair and Scholarship Endowment and the US$ 10 million East African Ali A. Mazrui Centre for Global Studies at Makerere University—together constituting the Makerere Mazruiana Project! This will be followed by a Citation of Excellence in honour of Professor Mazrui read by Professor Edward K. Kirumira, current Dean of the Faculty of Social Sciences and 7th successor to Professor Mazrui as Dean. Next will be the Acting Vice Chancellor, Professor Lillian Tibatemwa-Ekirikubinza’s Oratory of Academic Excellence and Recognition of Professor Mazrui who is proud of Makerere University as the cradle of his global fame. Thereafter, the Chancellor, Professor Mondo Kagonyera, will install Professor Mazrui onto his ceremonial and symbolic “Ali A. Mazrui Chair” emblazoned with Makerere University’s logo. And then Professor Mazrui will deliver his acceptance lecture…. These academic rituals and ceremonies during the launch will constitute the kick-start of a 3-year campaign to raise a minimum of US$ 15 million for the proposed Makerere Mazruiana Project. 2.0 What is Makerere Mazruiana? Provide role models to inspire and mentor current and future Makerere University and other public university students, in particular, to aspire to excellence. The proposed Ali A. Mazrui Chair and Scholarship Endowment will support national and/or internationally credentialed research professors and lecturers in teaching, research and writing at Makerere University for a specified period. Further, the academic pursuits and research competences of the holder(s) of the Ali A. Mazrui Chair will be consistent with Professor Mazrui’s global scholarship and leadership that began at Makerere University.The Ali A. Mazrui Scholarship will support qualified student interns, undergraduate and graduate research and post-graduate fellowships at Makerere University. These will be focused on multi-and inter-disciplinary research and areas relevant to the educational and sustainable development needs and priorities of Uganda and East Africa. Beneficiaries of the Mazrui Scholarship will have the honour to be known as “Ali A. Mazrui Scholars”. The proposed East African Ali A. Mazrui Centre for Global Studies at Makerere University will be out of completed construction, equipping and furnishing of the current structure next to the Faculty of Social Sciences. This was begun as an East African project of the Institute of Statistics and Applied Economics in the 1970s. The Mazrui Centre for Global Studies will therefore be a 21st century state-of-the-art multi-storey complex housing the Mazrui Resource Centre—a state-of-the-art resource centre fully equipped with the latest information, communication and technology (ICT) and resources. It will also house the Mazrui Professorial Chair and Scholarship Endowment; the entire Mazruiana Collection in literary and electronic forms; comprehensive Mazrui photo gallery and archive; and appropriate display of all Mazrui awards, prizes, significant speeches, public lectures, and all other Mazrui academic and professional narratives, etc. In the resource centre will be the “Mazrui Africa Hall of Fame” to recognize significant contributors, partners and donors to the Ali A. Mazrui Centre for Global Studies. Thus, Makerere Mazruiana is set to be an educational and developmental flagship in East Africa that will strengthen the Community and its integration. The August 11, 2009 launch is but a prelude to what is billed to be a much bigger and globally high profiled Makerere Mazruiana Inauguration next year during the last week of February 2010. 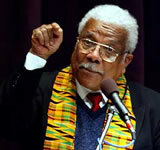 This will also coincide with Professor Mazrui’s 77th Birthday. It will feature Professor Mazrui’s ultimate public lecture as well as include inauguration of the Mazrui Chair and Scholarship Endowment, groundbreaking for the Mazrui Centre for Global Studies, and a Grand Makerere Re-Union. The February 2010 Inauguration will also be planned to coincide with Black History Month Celebrations when African-Americans, in particular, celebrate their history and achievements. The Black History Month Celebrations of February 2010 will be poignant because it will be soon after President Obama’s one year in power as the first African-American President of the USA. Given Obama’s excellent educational/academic achievement and his Kenyan/East African ancestral roots; given Professor Mazrui’s Kenyan homeland and Makerere/Uganda as his true academic home: the Makerere Mazruiana Inauguration in February 2010 will be poignant for both President Obama and Professor Mazrui. Appropriately, therefore, Professor Mazrui proposed the theme of the Makerere Mazruiana Inauguration, which MUPSF accepted, to be “From Othello to Obama: the Concept of Global Africa”. Those with a keen recollection will hear in this theme an echo of Professor Mazrui’s epochal BBC TV series: The Africans. Thus, the Makerere Mazruiana Inauguration in February 2010 at Makerere University, East Africa’s oldest University, will be a historic and poignant event for Africa and her global Diaspora from all over the world. The Makerere Mazruiana Project fits within the vision of Makerere University to be a centre of academic excellence, providing world-class teaching, research and service relevant to sustainable development needs of society. Inspired by this vision, Makerere’s 105th University Council authorized formation of the Makerere University Private Sector Forum (MUPSF) in 2006 to be a two way bridge between Academia and the Private Sector. For if it was gold yesterday, Makerere will still be gold today and tomorrow, even though she may have been badly trampled and covered in mud. Already, glimpses of a Makerere Renaissance can be seen in advances and new developments of faculties and programs such as the cutting edge Faculty of Computing and Information Technology (FCIT), innovations in the Faculty of Veterinary Medicine, School of Environment, and new programs such as Gender Mainstreaming and Women Studies, Food Science Technology, Conflict and Peace Studies, etc. However, nothing demonstrates onset of a Makerere Renaissance better than Makerere students from the Faculty of Technology who are engaged in designing and building one of the worlds’ most fuel efficient cars in Italy. They qualified to be part of an international team of University students from the world’s top universities, such as the Massachusetts Institute of Technology (MIT), USA, in this project. Perhaps excerpts from Memories of Makerere’s Golden Years by one of Makerere’s alumni provide tangible hope for a Makerere Renaissance. I came to Makerere in 1961 as a young man of 25. I was working on my doctorate in economics at Yale University when I decided that I had been away too long and needed to get back home to play my part in nation- building....Makerere University College was at that time the only university level institution in East Africa. In fact it trained students not only from the three East African countries but also further down from Nyasaland and Northern and Southern Rhodesia - then members of the Central African Federation controlled largely by European settlers. The Lectureship in Economics that I had applied for had become vacant when the incumbent Mwai Kibaki resigned to take up the post of the Executive Officer of Kenya African National Union. 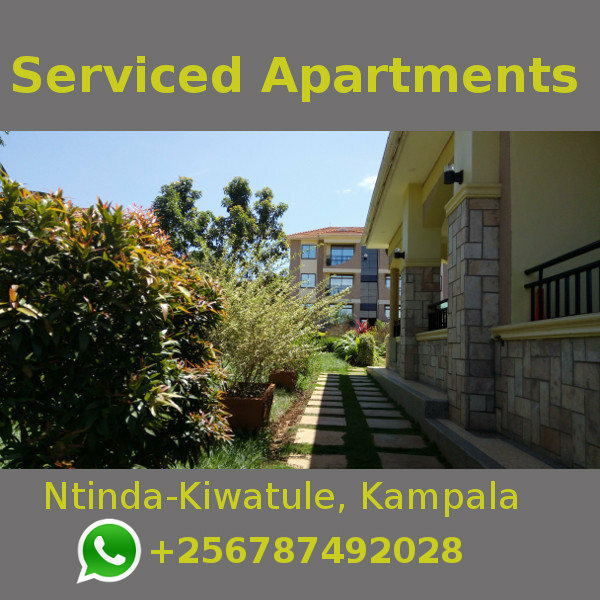 The Makerere campus was spread out on a hill amidst rolling lawns and groves of trees and bushes. Apart from the central administration, the campus had halls of residence, several faculties, science laboratories and sports facilities including tennis and squash courts and a swimming pool. As an academic institution, Makerere boasted of high standards. Entry to Makerere was fiercely competitive. The faculty was largely expatriate, with most staff members drawn from British universities. The graduating students were awarded London University degrees, which also reviewed the course content and examination papers and student grades. Its medical and agricultural schools enjoyed international reputation while the East African Institute of Social Research was a leader in Africa on anthropological and sociological research. It also boasted an excellent School of Fine Arts. The four years I spent at Makerere were truly its golden period. The College attracted out standing scholars to its faculty. A considerable amount of money poured in to strengthen its medical, agriculture and social science faculties. Many gifted graduate students came from abroad to work on their doctorates for prestigious universities. Numerous seminars and conferences held at the campus added to its vibrant intellectual environment. The social life at Makerere was relaxed and enjoyable. Many of our students subsequently became well-known names. I recall Benjamin Mkapa, active as a student journalist, who was twice elected as the President of Tanzania. Apollo Nsibambi, my student in Economics, went on to become Uganda’ Prime Minister. Another of my students, the late Philip Ndegwa, held most of the top civil service jobs, was Governor of the Central Bank and a leading businessman in Kenya, while also writing several books and articles on African development problems. James Ngugi, as he was then, became a famous novelist while still an undergraduate with his book Weep Not Child. John Nagenda occupied high positions in journalism ending up as a Presidential spokesman. There were many others who later became permanent secretaries, central bank governors, ministers and prominent businessmen. Among the foreign graduate students, some friends in the social sciences come to mind. Joseph Nye, who did his doctoral dissertation for Oxford on East African Integration, subsequently became Dean of the Kennedy School of Government at Harvard. Richard Jolly, my colleague at Yale, went on to become Director of the Institute for Development Studies at Sussex and Deputy Director of UNICEF. Michael Todaro won great distinction as the creator of a new model of rural-urban migration and became the author of a bestselling text on economic development. Charles Frank went on to become a prominent Washington policy advisor and Chief Economist, European Development Bank. Brian van Arkadie and Reginald Green became prominent development economists and advisors to African governments and international agencies. When I joined Makerere, I was among a handful of East African members of the academic staff. Among them were famous artists Gregory Maloba and Elimu Njau; the biologist David Wasawo who subsequently became Deputy Vice- Chancellor, University Nairobi; the geographer Simeon Ominde, later Professor of Geography and Director, Centre for Population Studies, also at Nairobi; and Senteza Kajubi, a prominent educationist. In subsequent years, the East African contingent was much reinforced by the addition of the eminent historian Alan Ogot, the world famous Ali Mazrui and Yash Tandon, now Executive Director, South Centre. The Ugandan poet, Bitek Okot, the author of The Song of Lawino, was a major literary figure at the campus. Among the economists, I recall Semei Nyanzi and Yoweri Kyesimira who went on to become respectively the Director of the Uganda Development Corporation and a senior advisor at UNEP. The campus also hosted many well- known expatriate academics. Colin Leys, a former Fellow of Balliol College, Oxford, was Professor of Political Science, and Raymond Apthorpe of the Sociology Department, later to become Professor at the Institute of Social Studies at The Hague. Paul Clarke, who headed the newly created Economic Development Research Project (EDRP), Philip Bell,Professor of Economics and Ian Livingstone, who subsequently became Professor at the University of Essex, were all prominent economists. Makerere also attracted expatriate literary figures. Paul Theroux, now a famous novelist, was then teaching English in the Department of Extra- Mural Studies. In 1965/1966,Makerere was honoured to have as a Visiting Professor no less a figure than VS Naipaul, the controversial writer, who subsequently won the Nobel Prize for Literature. Makerere also hosted the first ever conference of African writers that brought togetherleading novelists and poets from all over Africa....! By so recognizing Professor Mazrui, East Africa’s oldest University College has not only revisited the memories of her golden years when she was the cradle of Professor Mazrui’s rise to global fame, but has also embarked on a renaissance that will make Makerere reclaim her past glory and even pass the Memories of her Golden Years.